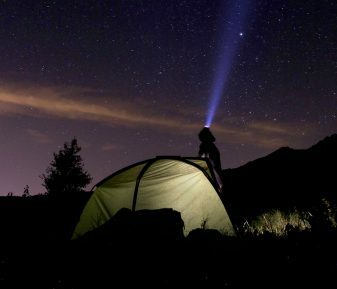 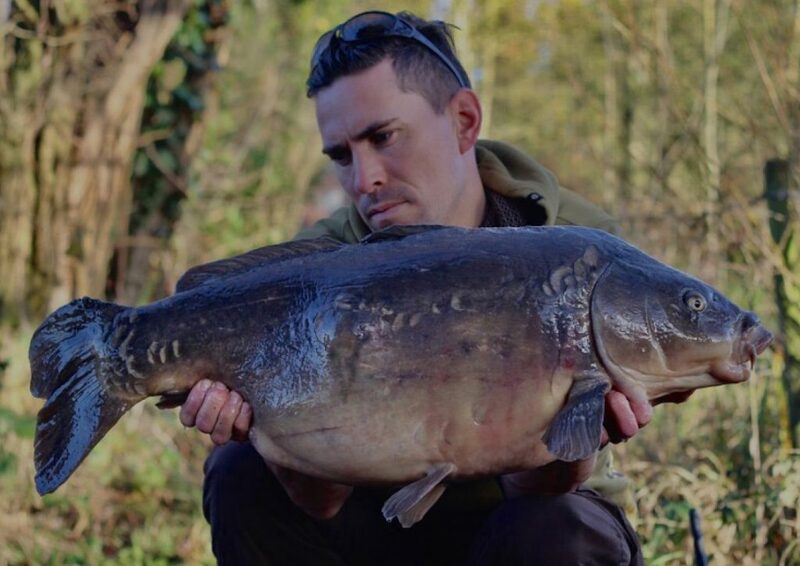 Tom Loraine knows that during the winter, you really have to make the most of opportunities as they arise, they don’t last forever! 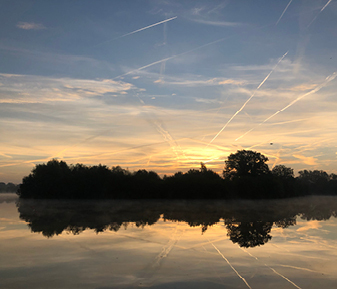 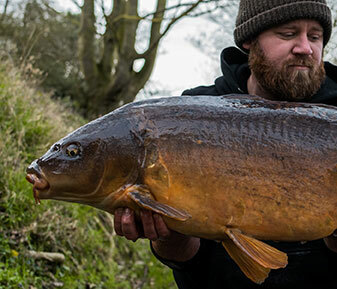 Things can easily go against you as the weather deteriorates and so in the light of his recent success, he ensured a few more trips whilst the going was good. 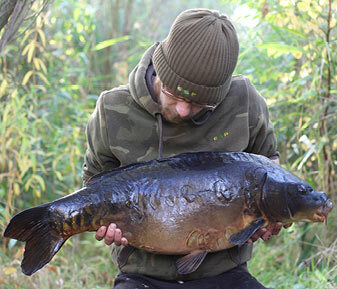 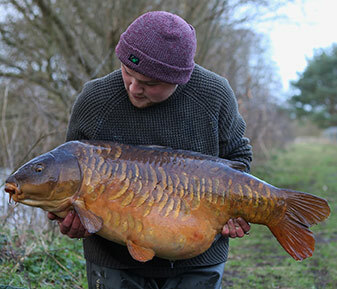 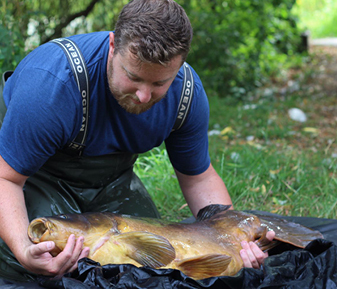 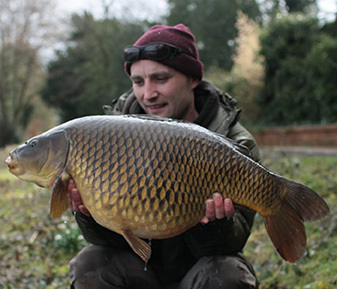 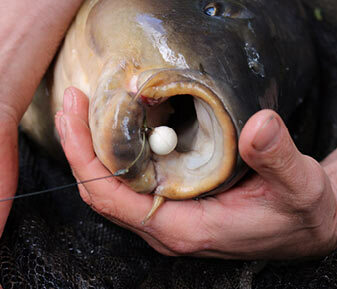 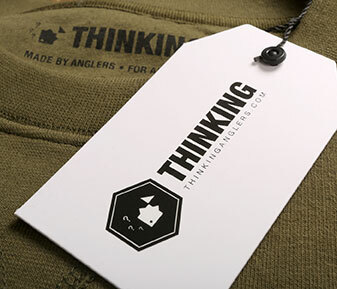 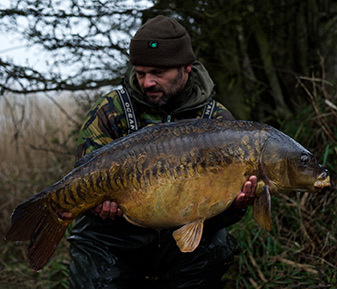 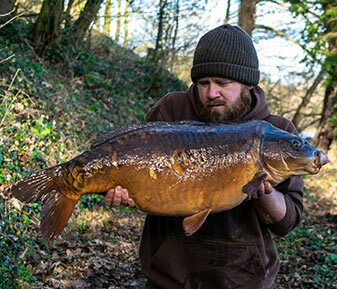 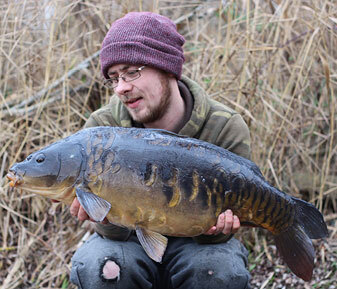 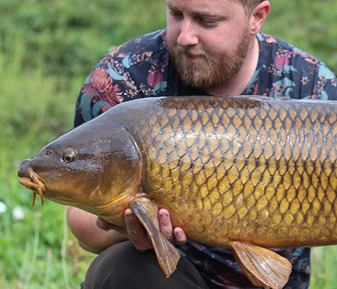 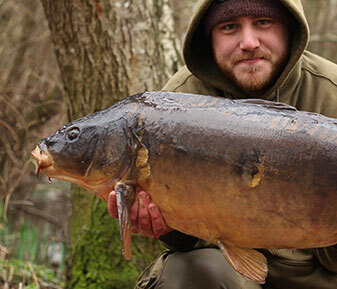 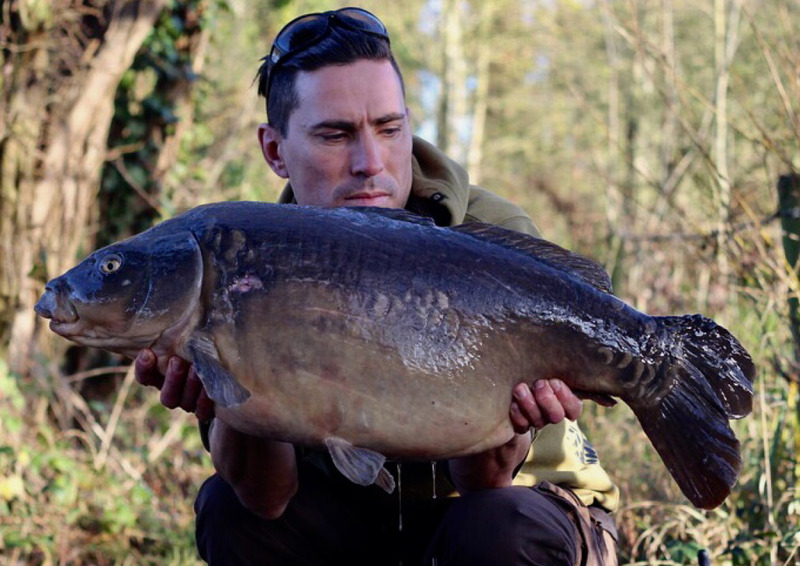 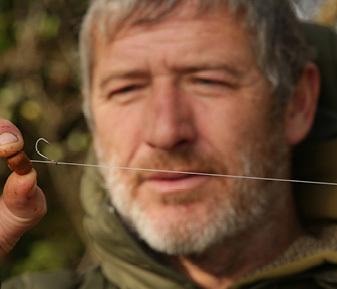 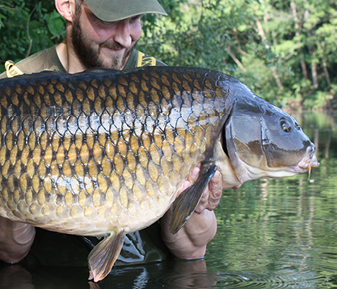 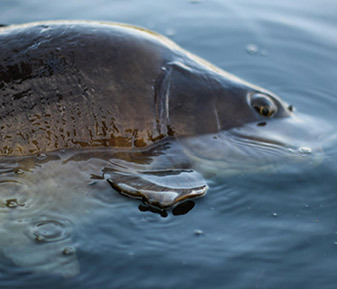 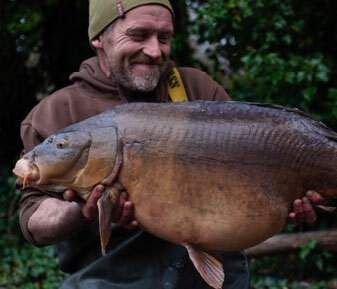 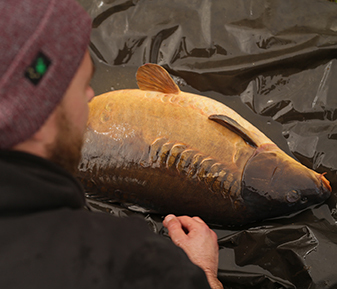 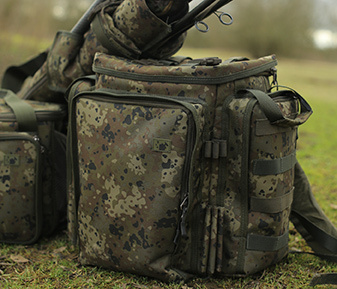 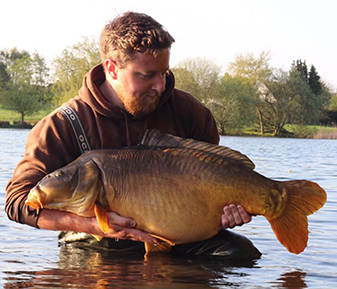 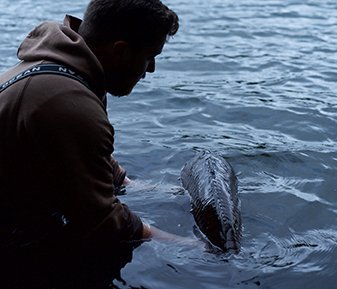 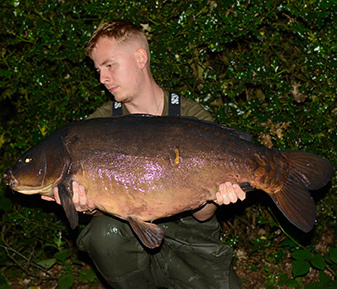 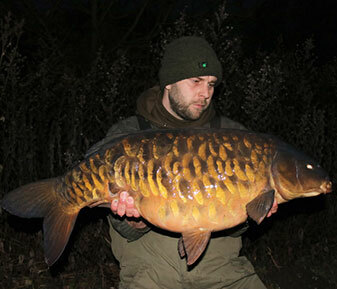 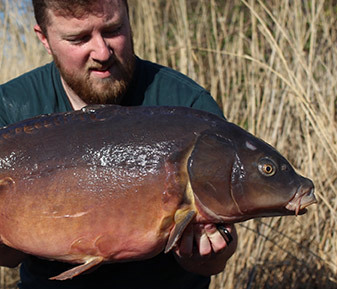 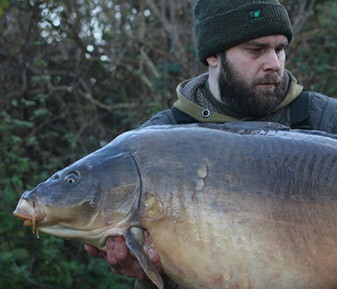 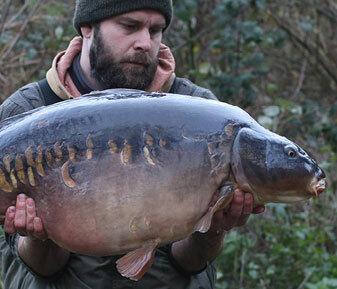 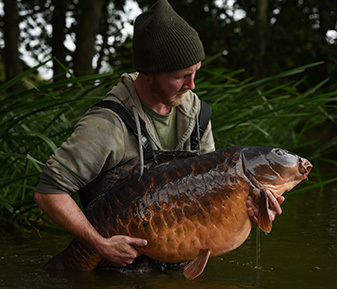 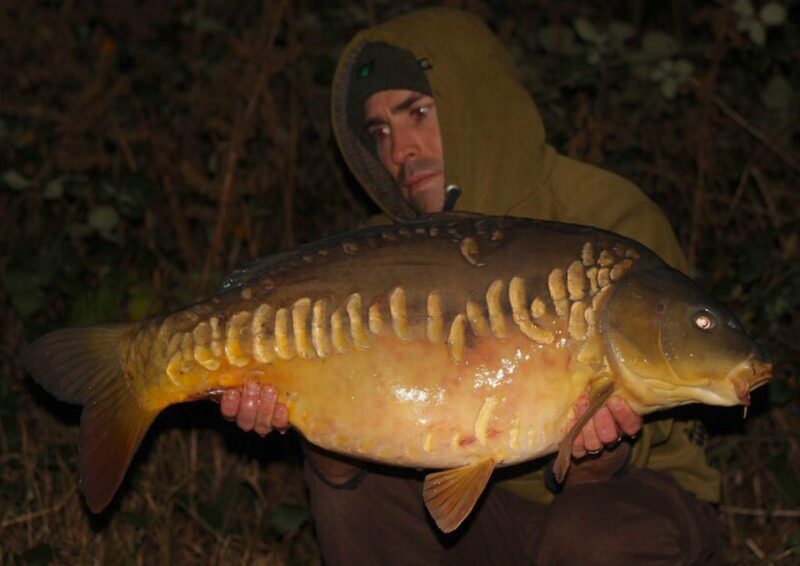 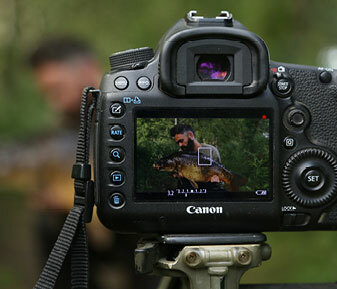 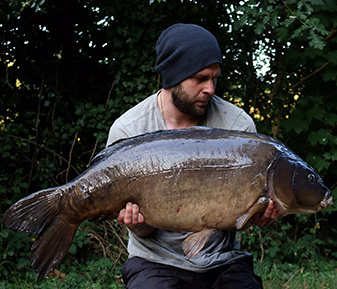 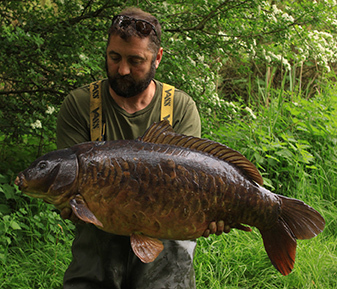 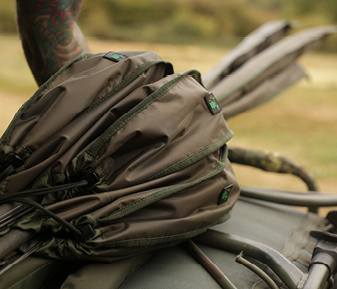 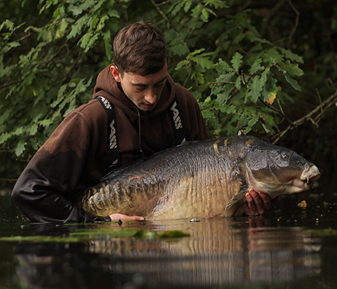 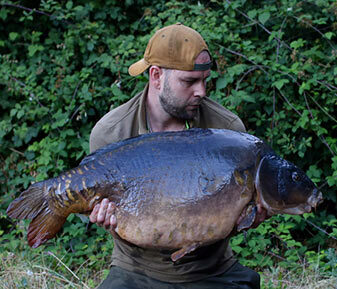 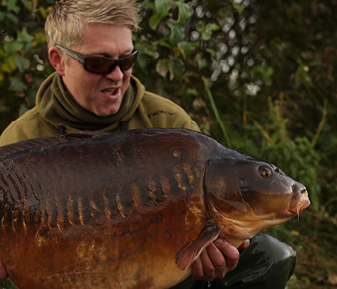 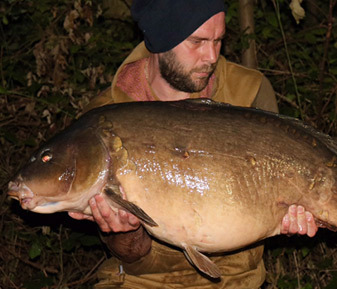 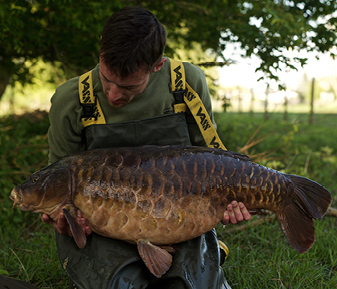 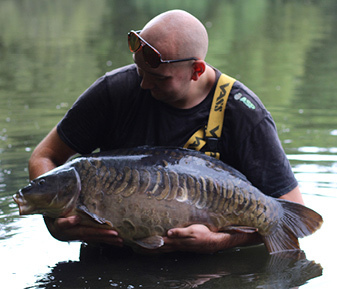 ‘I managed to slot in two more nights before Christmas and was rewarded with 3 more carp. 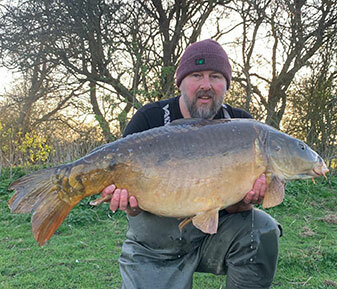 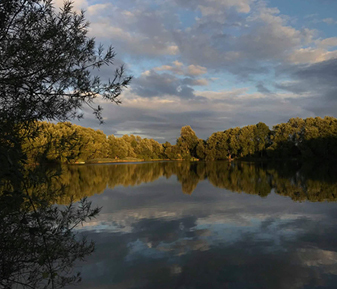 A lovely little 21lb 8oz which was a relatively new carp to the lake – the following morning I banked a 28lb 8oz mirror, a crusty old one at that so the effort was well rewarded. 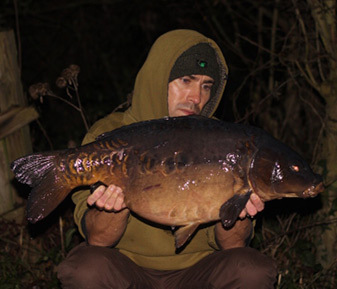 After a week away from the lake I planned my return for the first week of January. 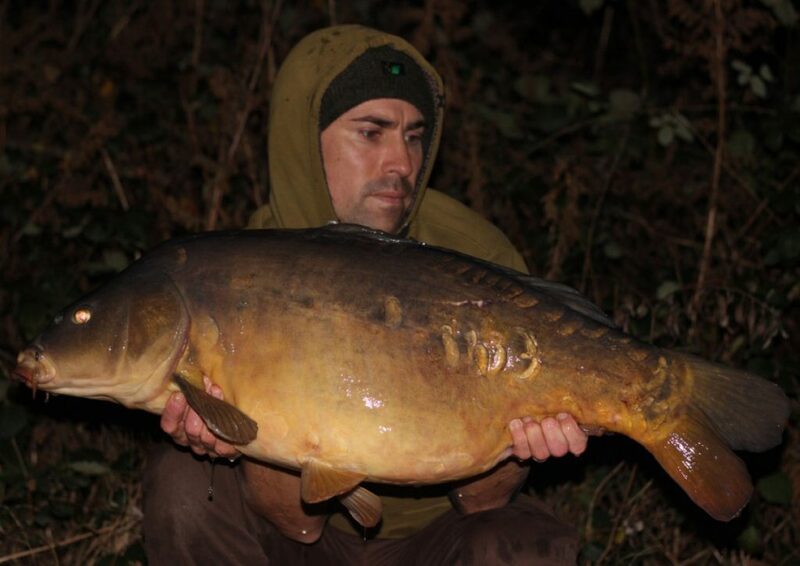 The spots hadn’t seen any bait for just over a week so I opted to give them some food and spombed out 3kg of crushed and whole Manilla 12mm and 16mm baits mixed with bloodworm pellet and the manilla active mix. 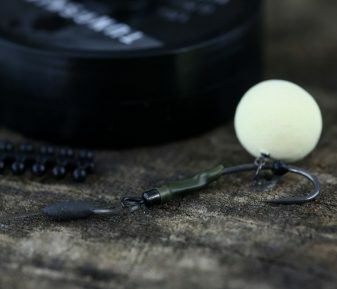 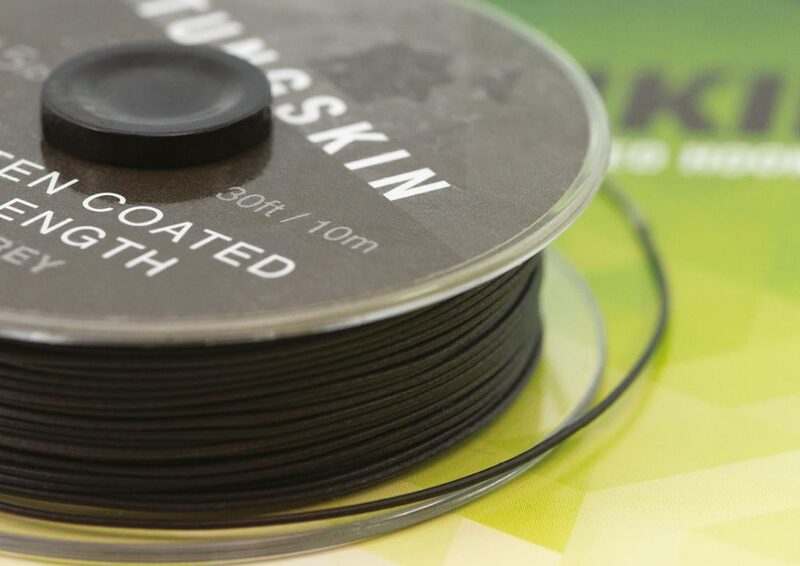 Out went the Rotary fished Tungskin 35lb combi hinges with TAOE Size 5 Hooks tied to the “on test” bristle filament to my spot at 80 yards range. 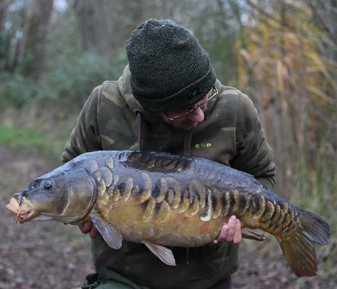 Confident in my approach as always, it wasn’t long before the bobbin twitched and I was away, producing a 26lb 4oz pristine linear. 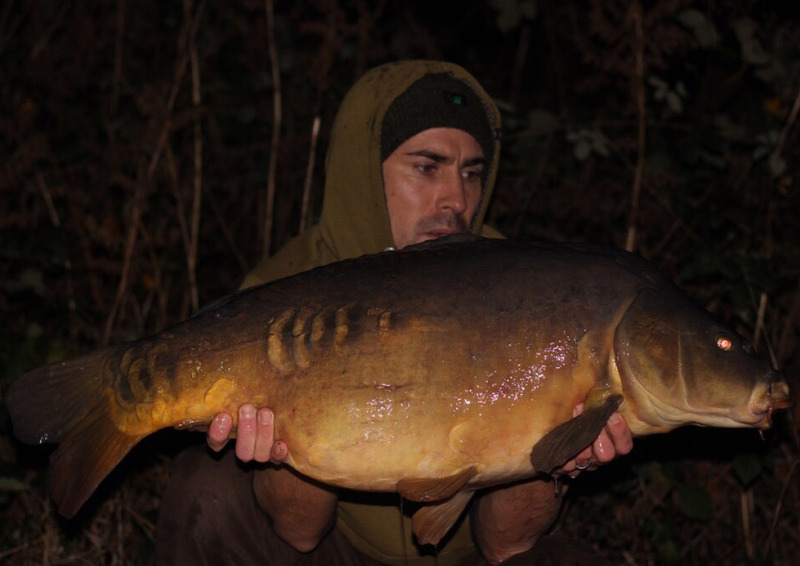 2 hours later a cracking 31lb 2oz mirror with a slight two tone to one side came over the drawcord. 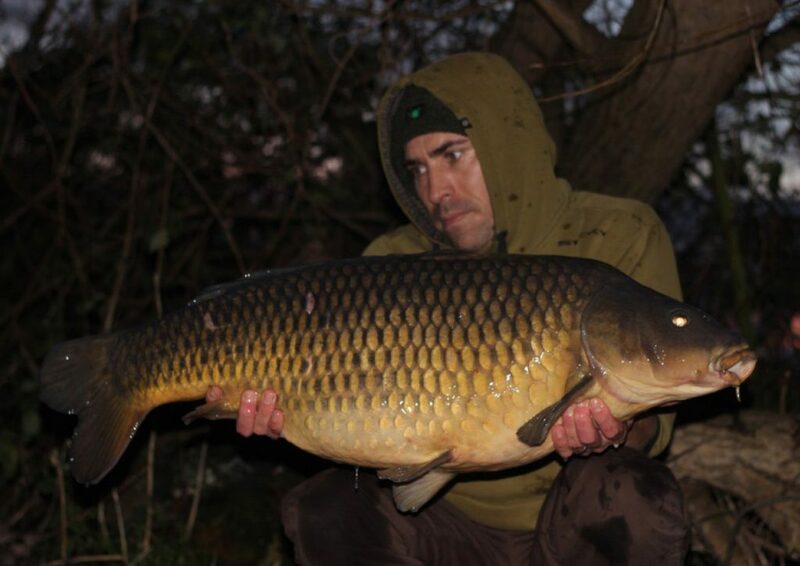 Topping up the swim then produced a smaller mid-double common, ending my first trip of year pretty much as I’d left off which was a right result. 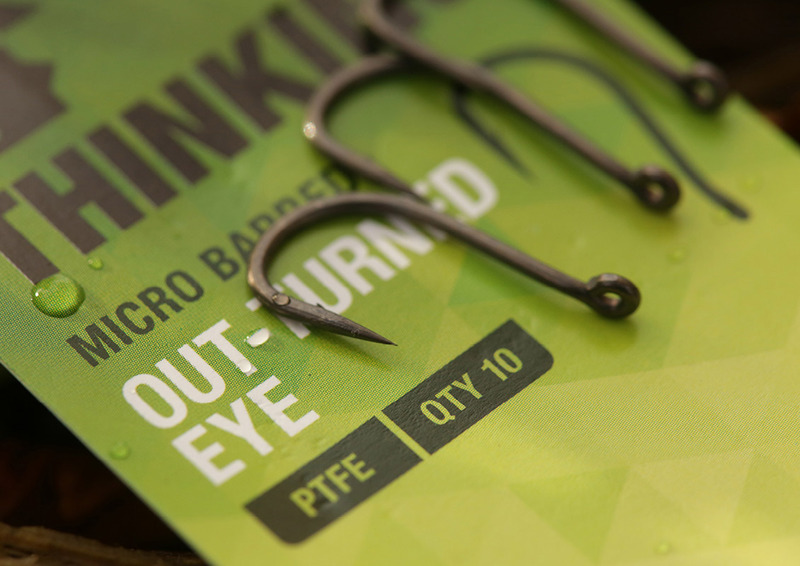 Tom used his ever consistent terminal arrangement of Olive Camo leadcore leaders, TA size 5 Out Turned Eye hooks on Tungskin combi hinges.